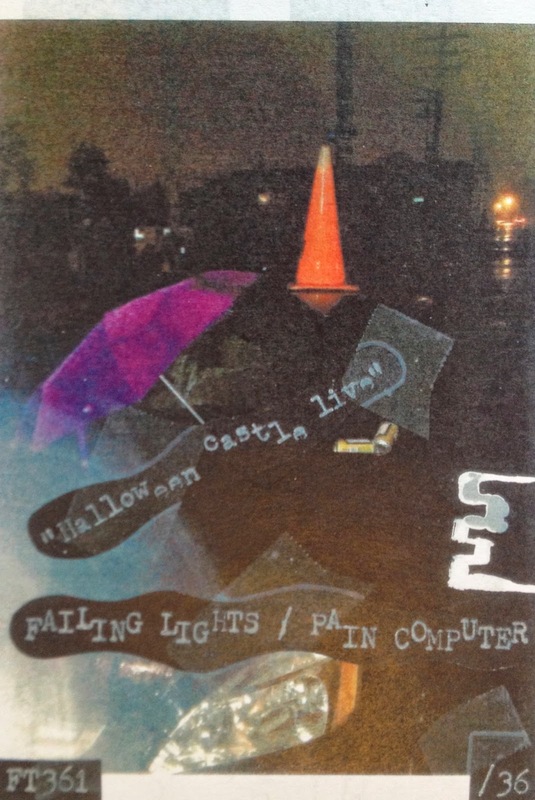 FT362 FAILING LIGHTS / PAIN COMPUTER "Halloween castle live" cassette. Recorded at MxUxGx private gig style on Halloween 2013. Only about a dozen goons bore witness to this intense gig. Black light paintings hanging everywhere and beer bottles being shattered by frustrated spirits. Moskos, Tarpit, Sick Llama and Mike Connelly. Enter the darkness! Limited edition of 36.